Dependable battery operated quartz watches that never require winding. 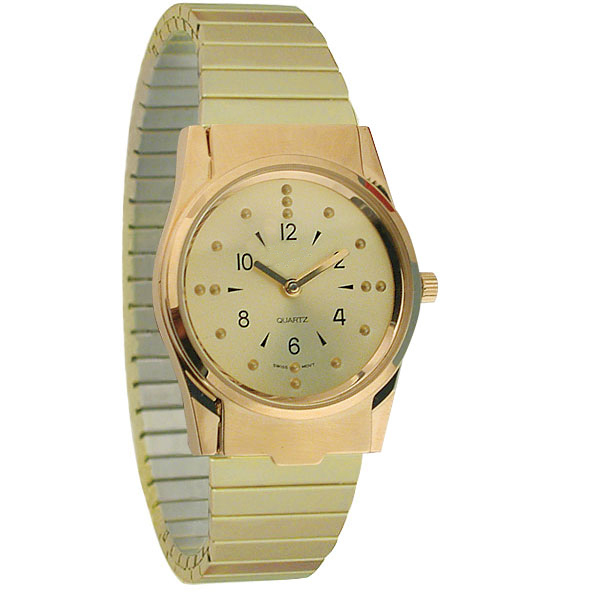 This gold colored facing with black numerals comes with a gold tone expansion band. The crystal is hinged at 12 o'clock which allows glass to flip up at 6 o'clock for tactual time-telling. Diameter on the face measures 1.25 inches.